A bestseller in Israel and translated into over half-a-dozen languages, this highly-acclaimed book is the definitive history of the settlements in Israel. The 1967 Arab-Israeli War, a brief battle whose effects was a devastating triumph for Israel, which immediately began to establish settlements in the newly conquered territories. These settlements and the movement that made them possible, have utterly transformed Israel, and yet until now the full history of the occupation has never been told. 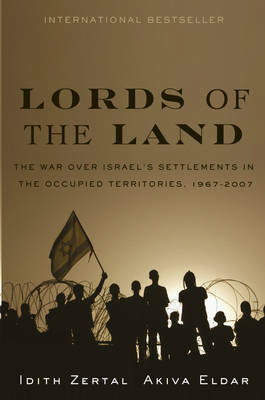 An international bestseller, "Lords of the Land" is the first book to tell that tragic story, revealing what a catastrophe it has been for both Israel and the Palestinians.Based on years of research, and written by one of Israel's leading historians and one of its best-known journalists, this compelling narrative focuses on the settlers themselves - their messianic religious zeal, their politics and their cult of death. It shows also how they were inspired and empowered by the earlier, secular Zionist movement, and it demonstrates the deep involvement of the State of Israel and its most sacred institutions in this illegal endeavour.